Good day all! (“I said good day!”) I hope you are having a splendid start to your day. I’m going to show you another great polish from Madam Glam, called Beyond Gorgeous. Beyond Gorgeous is a super sparkly almost-clear based (it has just a tinge of light green) based micro-glitter nail polish. This is 2 coats with no top coat. I wanted to really love this one, but I just kind of like it. As it is a micro-glitter, it’s going to be kind of textured but I dislike micro-glitters like this as it is hard to get your tips just right without showing free-edge. It would look much better layered though! You can pick this polish (and others!) up at MadamGlam.com and don’t forget to use the code “BFbhbp” for 30% off your purchase! I’m with you. Textured free edge is abhorrent. Agreed on the tips part, that’s what I dislike about glitter as well. Still a lovely color though! Really pretty sparkly polish! It looks good but agree that it would probably look better layerd over another polish. It’s pretty! Kind of reminds of Orly Sparkling Garbage. Which I must bust back out here soon!! Although I completely agree with you on the downsides of microglitters, I do really really like them… As I do this one, it is such a beautiful mix and I love your pics! 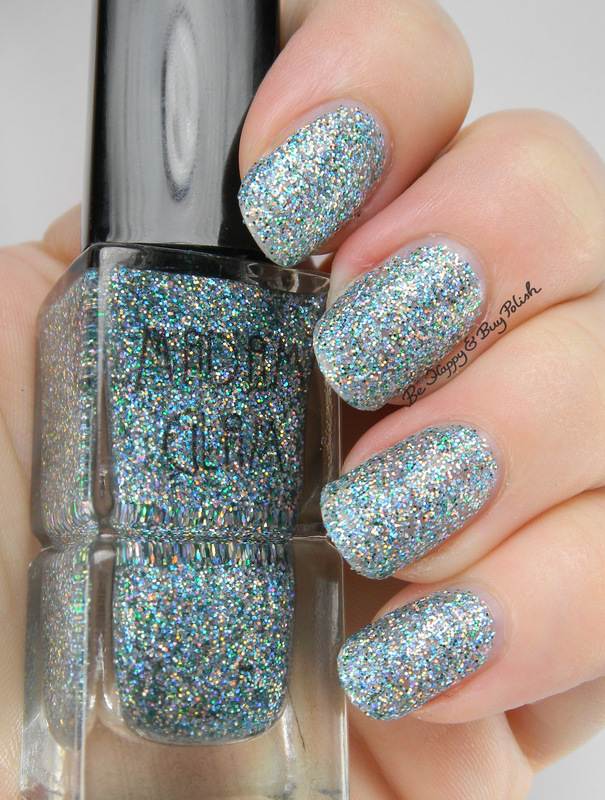 I’m a texture kind of girl so I love this sparkly beauty!